How to help Hurricane Sandy victims in NYC- 5 Boroughs - How Can I Help? One way to help is by donating to the Red Cross. All donations will provide shelter, food, emotional support and other assistance to those affected by the storm. 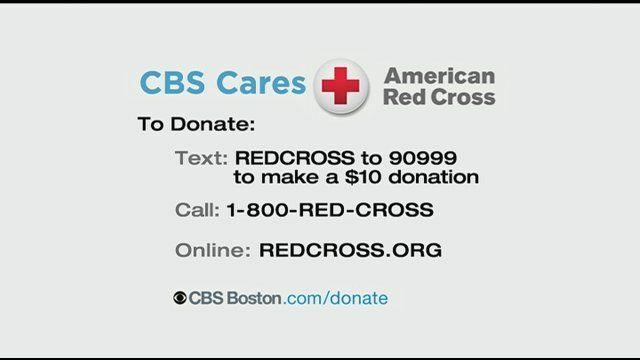 To donate, visit http://www.redcross.org/, call 800-Red-Cross or text the word "Redcross" to 90999 to make a $10 donation. The Salvation Army has dozens of mobile feeding units and shelters along the East Coast that are working to serve thousands in the most heavily hit areas. Visit http://www.salvationarmyusa.org/ to donate. 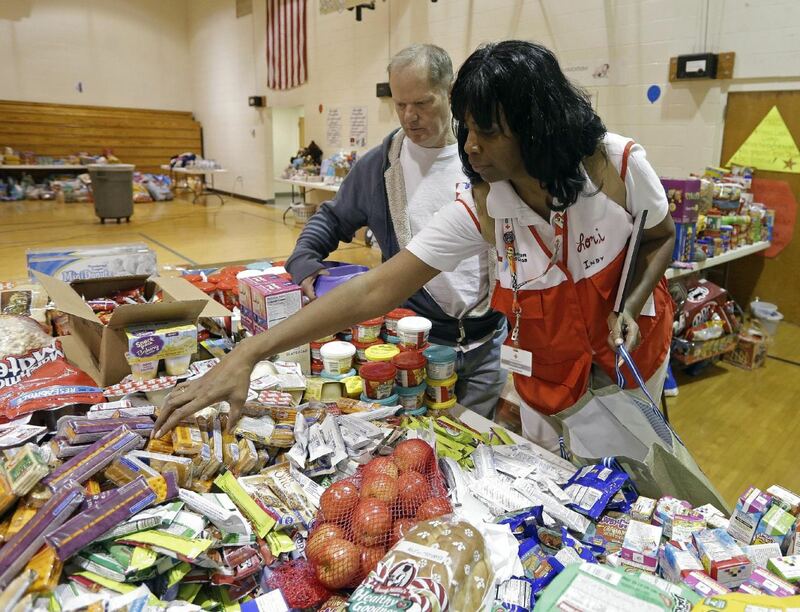 Feeding America has thousands of pounds of emergency food, water and supplies in the disaster zone that it is working to distribute to the storm's victims. To donate, visit http://www.feedingamerica.org/ or call 800-910-5524. AmeriCares is providing medicine and other supplies to people affected by Hurricane Sandy. To donate, visit http://www.americares.org/. World Vision is distributing flood clean-up kits, personal hygiene items and emergency food kits to people hit by the hurricane. To donate, visit http://www.worldvision.org/. Save the Children is also working to provide relief to families and their children. Visit http://www.savethechildren.org/ to donate. 1. Buy blankets (since you may not have extras sitting around your house). Costco has blankets for as little $12.99, while Ikea has some for as little as $4! 2. Occupy Sandy has been key in organizing shipments to the hardest hit boroughs. You can donate winter gear at the St. Jacobi Church in Brooklyn's Sunset Park located at 5406 4th Avenue at 54th Street (contact: 347-470-4192). 3. The Red Hook Initiative is taking donations of blankets at Good Shepherd Services, 173 Conover Street, Visitation of the Blessed Virgin Mary, 98 Richards Street/Verona Street and 767 Hicks Street in Red Hook. 4. On Manhattan's Upper East Side, Saloon NYC has been accepting donations at 1584 York Avenue. All of these donated supplies will be delivered to St. Francis des Sales church in Belle Harbor. Check their Facebook page for updates on collection times. 5. On Manhattan's Lower East Side The Bowery Mission at 45-51 Ave D is open 24/7 and will accept any donations you can bring. For more info, contact 212-777-3424. 6. In Brooklyn, NY Communities for Change (NYCC), 2-4 Nevins Street, 2nd Floor is bringing blankets and other supplies twice a day to Far Rockaway. Drop-off donations between 9 a.m. and 7 p.m. For more info, contact Olivia Leirer gro.seitinummocyn|rerielo#gro.seitinummocyn|rerielo to find out how you can help with transporting items. You can also bring items directly to City Council Member James Sanders’ Office, 15-26 Central Avenue #2, Far Rockaway. 7. In Breezy Point, Queens, where at least 80 homes were destroyed in a fire, The Silver Gull Club is collecting blankets at 1 Beach 193rd Street. For more info, call (718) 634-1500. Met Council, one of NY largest human service agencies, is collecting much needed supplies for sandy victims throughout the 5 boroughs. - Drop off centers are open for item collection at 171 Lexington Ave and 315 West 61st street in Manhattan. Koisher food, water, toiletries, new towels, new cats , paper towels, gloves, garbage bags, and cleaning supplies. Nonprofit that provides design and construction efforts to disaster to disaster stricken areas, has created a 6 point reconstruction plan for the storm's hard hit areas in New York and New Jersey. Schools in Park slope are being used as shelters for the elderly. Collect money for bulk buys of supplies like underwear, socks, towels, water, ice, etc. 4) NY Road Runners have secured busses for 40,000 people to be transported to Staten Island on Sunday morning. Marathon runners are a worldwide, strong willed community always ready to help. Fill up the bags passed out at the expo with layers of warm clothes we were planning on tossing to the side of the bridge at the start of the marathon and any other relief items we can donate.